Looking north along Bury Bolton Street station's platform 3 in 1976. A Class 504 EMU of 1959 vintage waits to depart for Manchester Victoria. 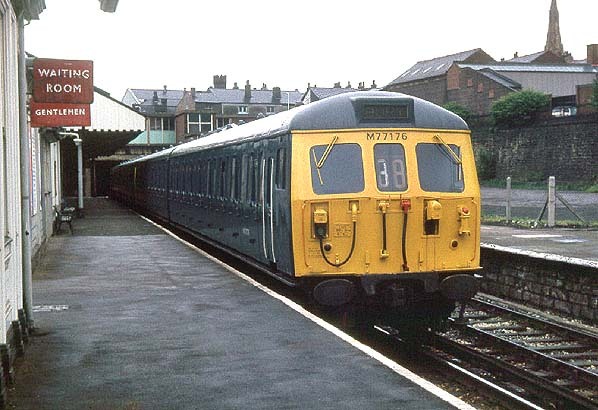 Between June 1972 and the closure of Bolton Street in March 1980 these units were the only passenger trains that visited the station. To the right of the train there is a fence which marks the site of the original 1846 station building which was demolished in 1974.